Who says promoting your business can't be fun? If you're ready to drive your sales up and get your brand into the hands of your customers, play around and relieve some stress with these dumper truck stress relievers. You can twist them, bend them, fold them, and squeeze them endlessly and they retain their dump truck form! Dump those boring ideas off at the landfill! Marketing with promotional products is a fast, fun way to get your name into the hands of potential customers. 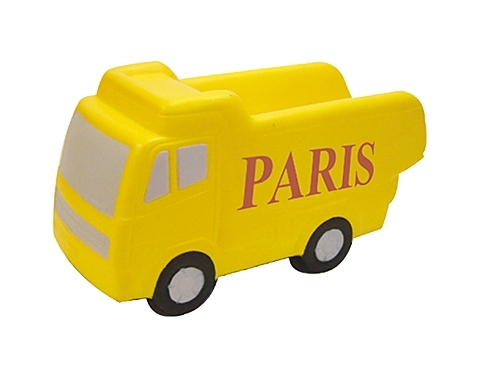 With these custom printed dumper truck stress toys, there's plenty of room to carry your advertising load!